Acupuncture harmonizes and balances the body and mind through gentle activation of the energy channels or meridians. Current research has verified the impact of acupuncture on the nervous system, which interacts with and is the primary force affecting all the systems of the body. Research also shows that stimulating specific points with needles activates the body’s healing mechanisms, calms the nervous system, relieves pain, improves mood, and invigorates the immune system. Dr. Gordon has studied Chinese, Japanese and Korean styles of acupuncture, ancient and modern. She also uses acupressure, magnets, laser, infrared heat and electro-therapies to stimulate these acupuncture points. It is powerful and effective, especially with pain. Stillpoint is my word for the healing space that occurs during an acupuncture treatment. It is profoundly relaxing, inducing clarity of mind, release of tension, and renewed physical vitality. Putting delicate sterile needles into specific acupuncture points can elicit states of stillness where the body naturally makes subtle shifts into balance, clarity and equanimity that are healing to the whole being. 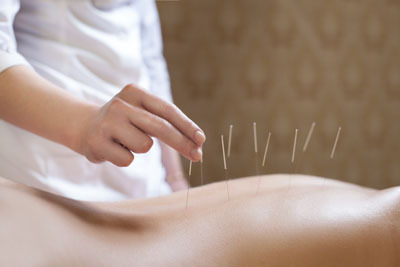 Acupuncture is a form of treatment where you can come into the office not feeling well, and leave feeling much better. Your body’s own wisdom guides the treatments as feedback is obtained through palpation, observation, and questioning. This process is very safe and gentle. I practice Chinese, Japanese, and Korean acupuncture. The needles are sterilized and disposable. If you feel uncomfortable with needles, magnets can be used on acupuncture points instead. If you would like to learn more about Acupuncture and the various treatments we provide, call (415) 200-1291 to schedule a consultation.